Active360 is a stand up paddle boarding specialist with sup schools in london. We also offer trips and paddle boards to buy and hire. 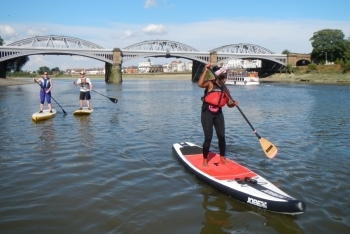 We have SUP schools at Paddington, Putney, Kew Bridge and Brentford Lock. We run fund-raising events for charities including the Thames SUP Marathon and fun / team building events for organisations. you can find out more about us and how people rate our service on Trip Advisor. Active360 is a stand up paddle boarding specialist with sup schools in london. We also offer trips and paddle boards to buy and hire. We have SUP schools at Paddington, Putney, Kew Bridge and Brentford Lock. We run fund-raising events for charities including the Thames SUP Marathon and fun / team building events for organisations. you can find out more about us and how people rate our service on Trip Advisor.